Clint South is a dedicated attorney with experience in state and federal courts, as well as administrative agencies. Clint focuses on trial and appellate litigation in state and federal courts. Prior to joining Lightfoot, he clerked for Judge Jimmie V. Reyna of the U.S. Court of Appeals for the Federal Circuit in Washington, D.C. He assisted Judge Reyna with appeals related to administrative law, intellectual property and money suits against the federal government, including appeals in patent, copyright, trademark, government personnel and contracts, international trade, takings and vaccine cases. Clint spent two years clerking for Judge Roy S. Payne of the U.S. District Court for the Eastern District of Texas in Marshall. The Marshall division heard 28 civil trials while Clint was there, 22 of which were jury trials. Clint assisted Judge Payne and other judges in the district with many of these trials and other proceedings, including more than 40 patent claim construction (Markman) hearings. 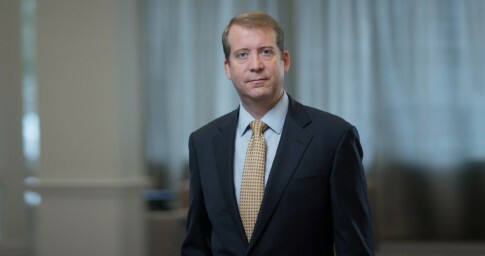 Between clerkships, Clint worked as a litigation associate at a large law firm in Washington, D.C., and Atlanta, Georgia. He gained experience in civil cases and proceedings before the U.S. Patent and Trademark Office (USPTO), including reexamination and inter partes review. Before law school, Clint spent three years preparing and prosecuting patent applications and appeals at the USPTO. His graduate research focused on organic, polymer and materials chemistry. Clint was born and raised in Florence, Alabama. Representing a utility company in an arbitration about an alleged breach of contract. Representing a law firm accused of professional malpractice in state court. Representing a chemical plant accused of leaking gas into the air in state court. Representing one of the three oldest coffee and tea companies in patent case. Representing a pharmaceutical company in inter partes review of one of the patents allegedly covering the immunosuppressive drug sold as HUMIRA®. Representing a utility manufacturer in patent case involving smart meter technology.